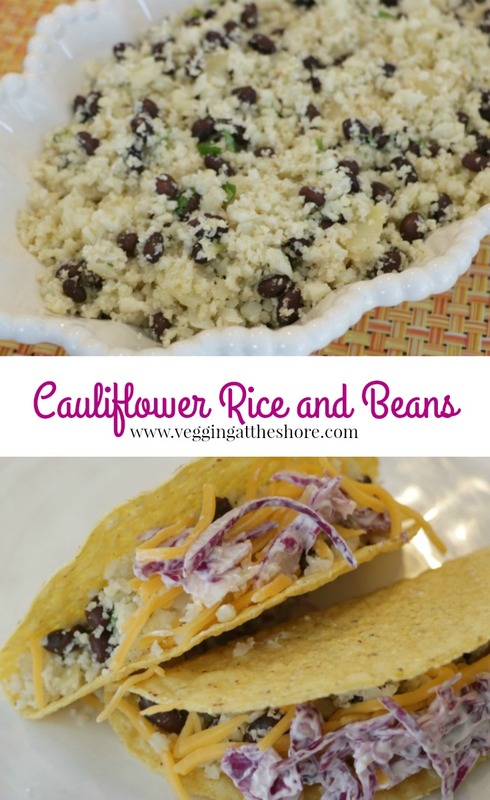 Cauliflower rice, where have you been all my life? I’ve seen recipes for it and have heard people swear by the cauliflower rice from Trader Joe’s but decided it was finally time to give it a try. 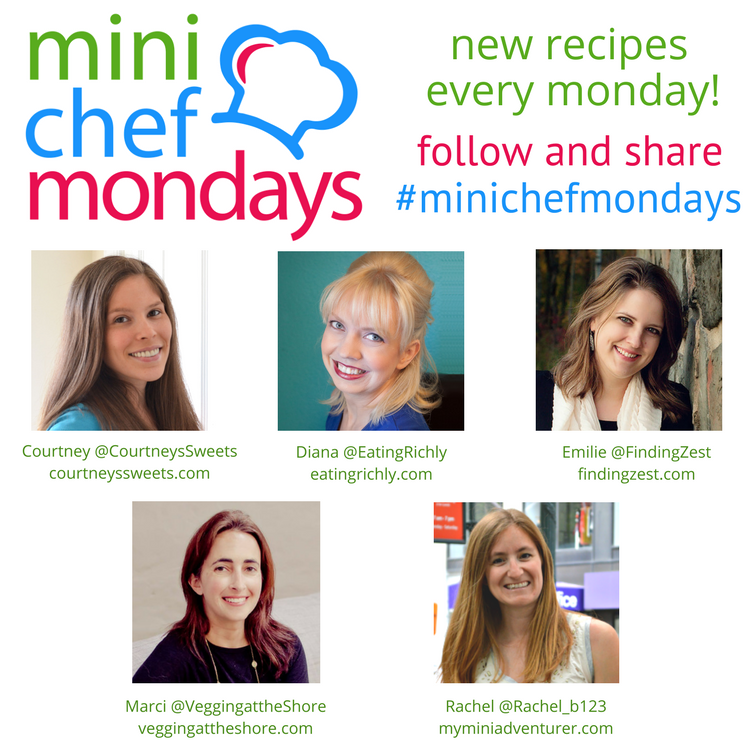 Not only did we love it, but it expanded our Taco Tuesday repertoire. 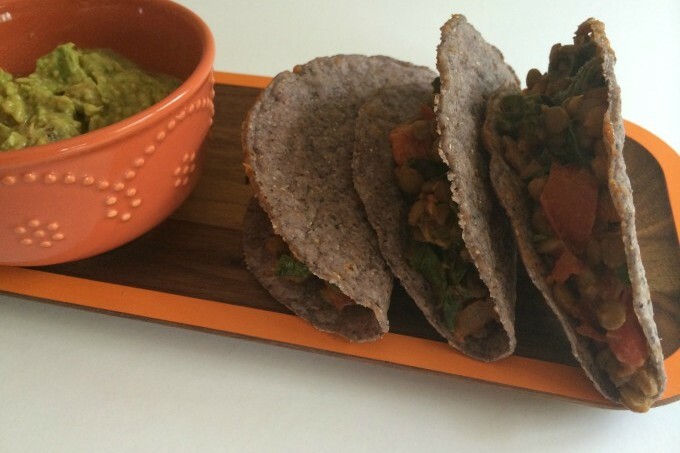 We have a lot of great vegetarian taco fillings (lentils and chard, bulgur) but it’s always nice to have a new one. 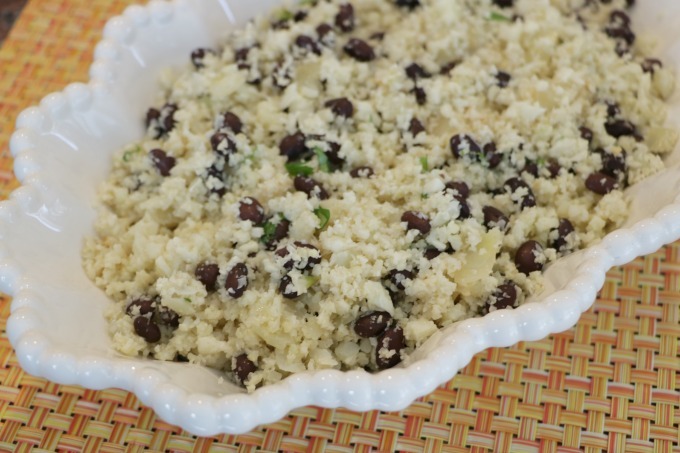 Cauliflower with beans is a healthy side dish or makes for a great taco filling. 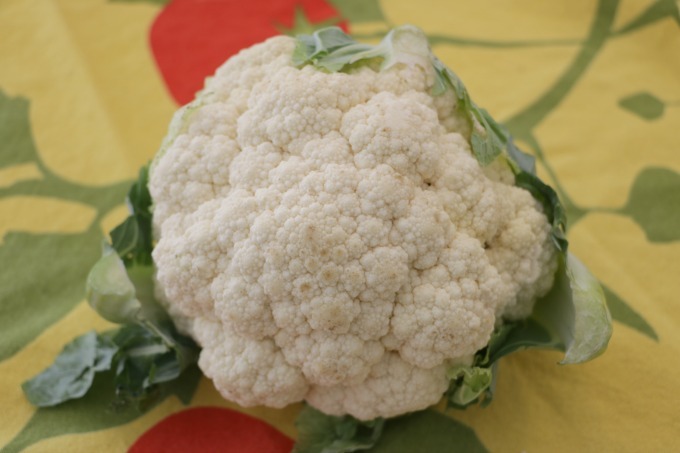 Start with a head of cauliflower. Cut out the tough core so that you are left with just florets. Pulse them in a food processor until the rice becomes crumbly and takes on a rice-like consistency. 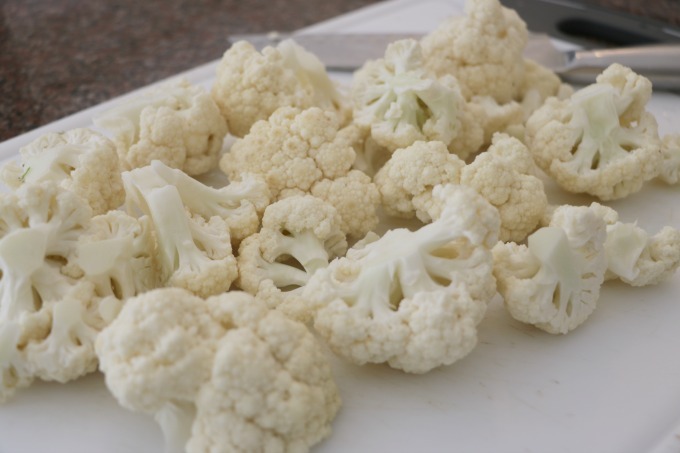 Saute an onion in olive oil and then add the cauliflower along with seasoning. The cauliflower only needs about five minutes to soften. Remove it from the heat, add lime juice, beans and cilantro and there you have it. 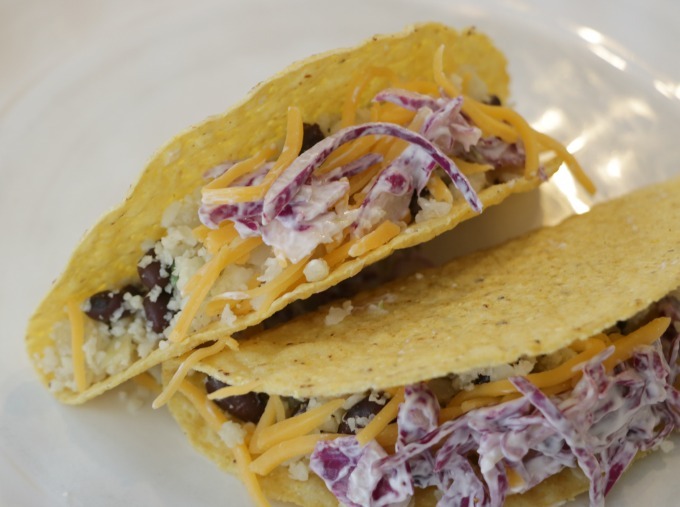 A perfect taco filling is ready in less than a half hour. That’s my kind of dinner. 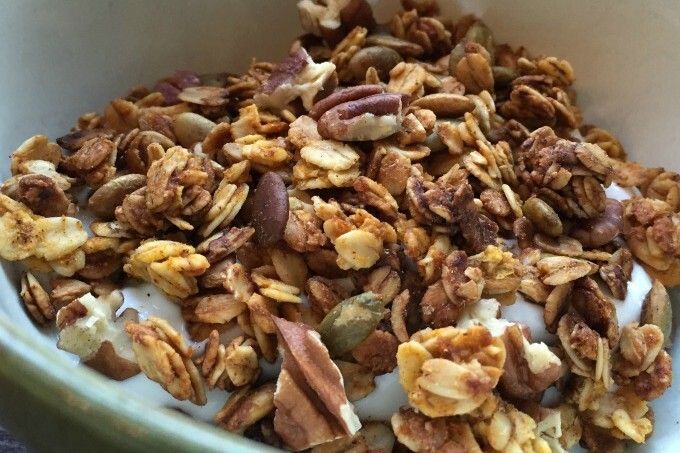 We loved this for dinner and I couldn’t wait to have leftovers the next day. Taco Tuesdays just got a lot more interesting! 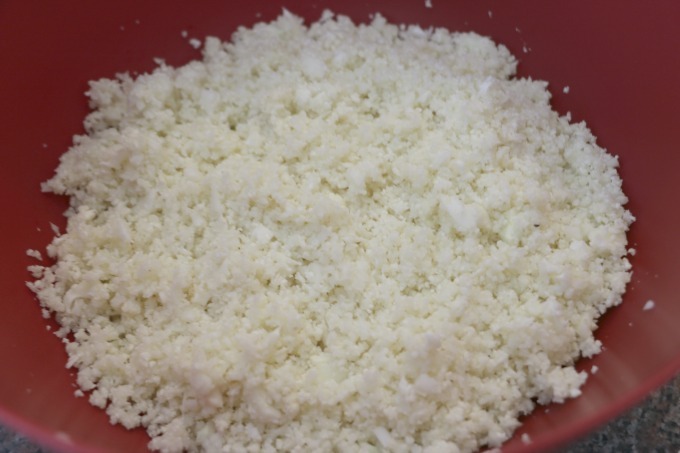 Pulse cauliflower in a food processor until it becomes a crumbly, rice-like consistency. Heat olive oil in a large pan over medium heat. Saute onion for a few minutes, until it becomes translucent. Add cauliflower, cumin, salt and pepper and cook, stirring for about 5 minutes until cauliflower softens. Add beans, cook for another minute. Remove from heat. Add lime juice and cilantro. 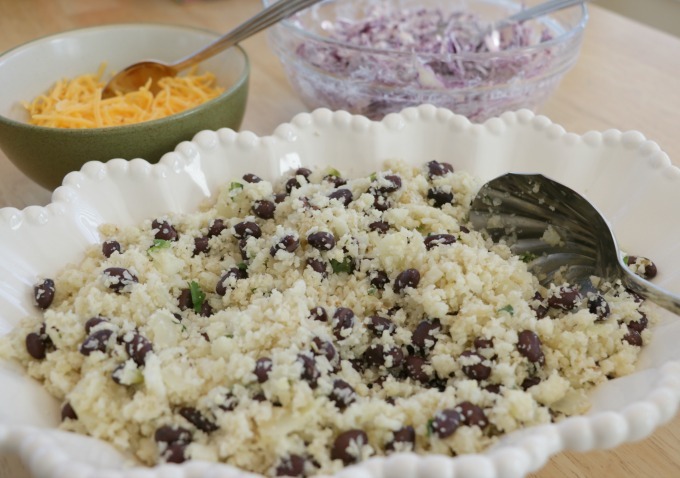 Serve as a side dish or as a taco filling.